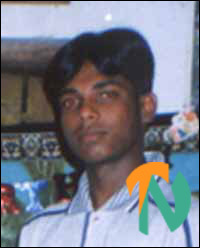 M.Vijayatharsan, 20, a GCE (A/L) student of Ramakrishna Mission Tamil Mixed School in Morokkoddaanchenai, was shot dead by SLA soldiers at Kaluwankerny. The courts recorded statements of Kokularaj, his mother, Thavamany, Vijeyatharshan's father, Vairamuththu Manikkavel, District Medical Officer Dr.S.Sukumar and 2nd Lieutenant Weerasinghe of the SLA. The SLA officer claimed in his testimony that the victim was a member of the Liberation Tigers and they recovered a hand grenade from him. According to the officer the youth was shot at from a distance of nearly 100 metres. The medical officer, who conducted a post-mortem, however, explained to the courts that the youth was shot at close range. He said no rounds were recovered from the victim's body. The judge in his verdict said medical officer's report contradicts with the testimony of the SLA officer. He further said that parents' testimonies clarify that Vijeyatharshan and Kokularaj did not have any connection with militant groups and that they were students. The judge said it was an "unwanted killing" and ordered the police to produce three SLA soldiers involved in the incident before the courts on 6 September.